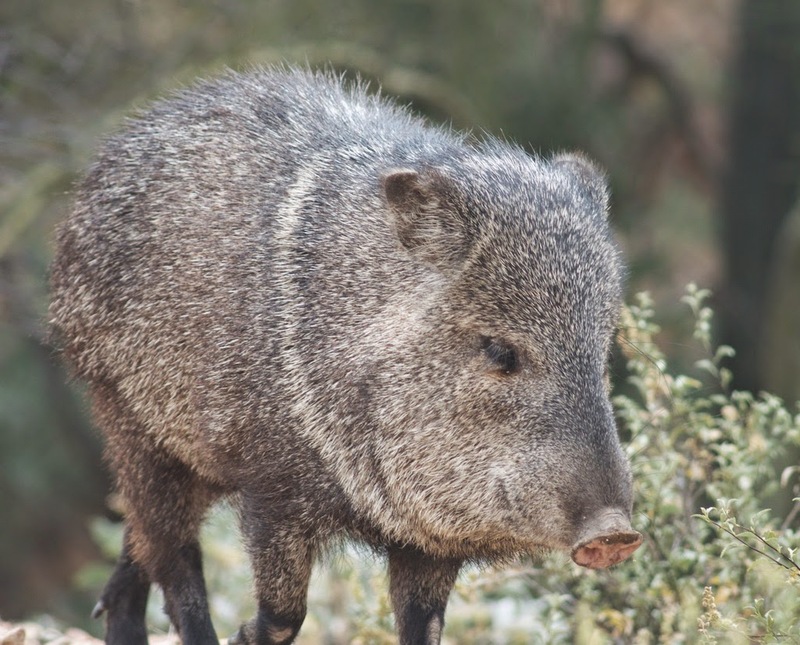 The Arizona-Sonora Desert Museum, which we saw yesterday, is a combined natural history museum and zoo, entirely devoted to local species of birds, animals, reptiles, plants, and whatever else there is. 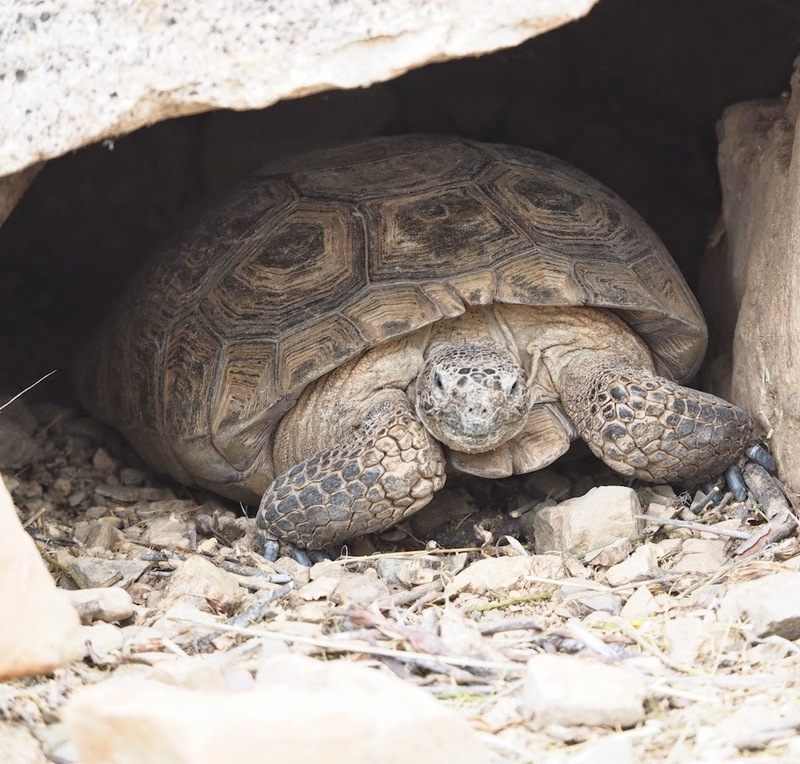 We saw, among others: a coati, wild pigs called javelinas, a tortoise (depicted above), and a collection of local hummingbirds in a hummingbird house. 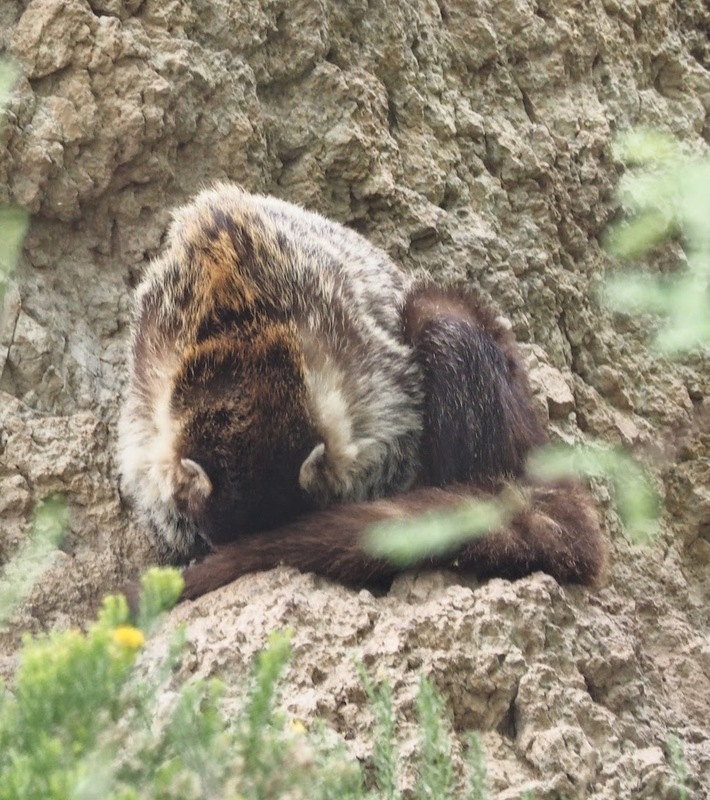 The museum has recreated small outdoor areas representing the ecosystems of the desert, mountains, stream beds, and so on. The large outdoor museum/zoo attracts many wild visitors, as well as the captives. 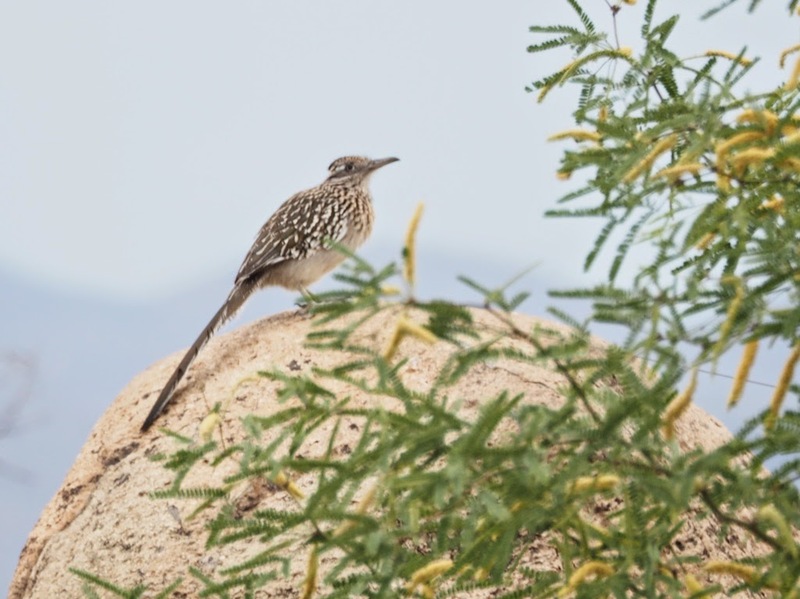 The roadrunner was desperately trying to get INTO the cage where a captive female lived. He kept calling to her -- "meep meep!" and going right up to the glass wall that kept them apart. Tragic love! We have also seen a couple of coyotes -- one was crossing the road as we drove away from the museum. 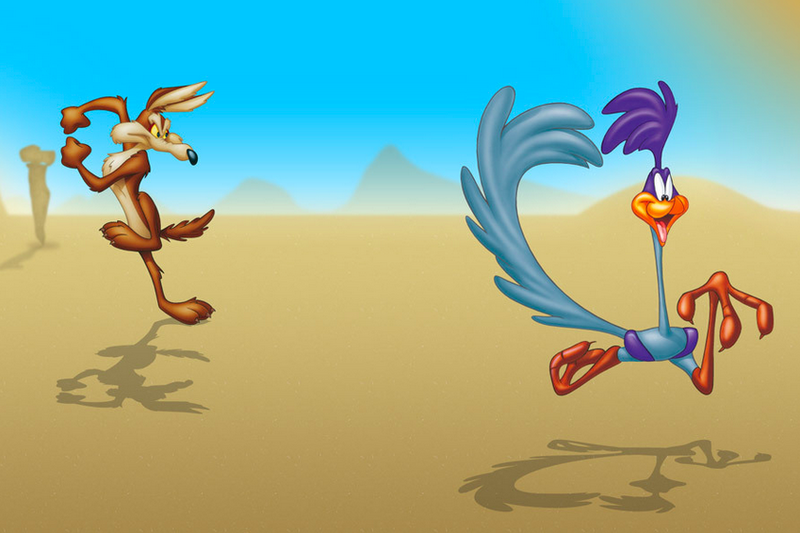 Neither the real coyote nor the real roadrunner look all that much like their cartoon selves. We also saw a bunny (not Bugs). 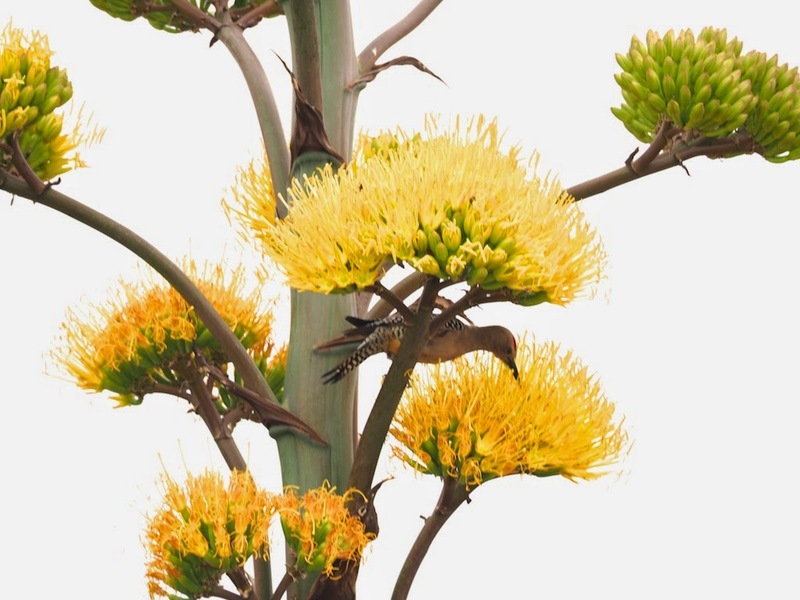 To get back to the topic of food: here's a Gila Woodpecker sipping nectar from an agave blossom. 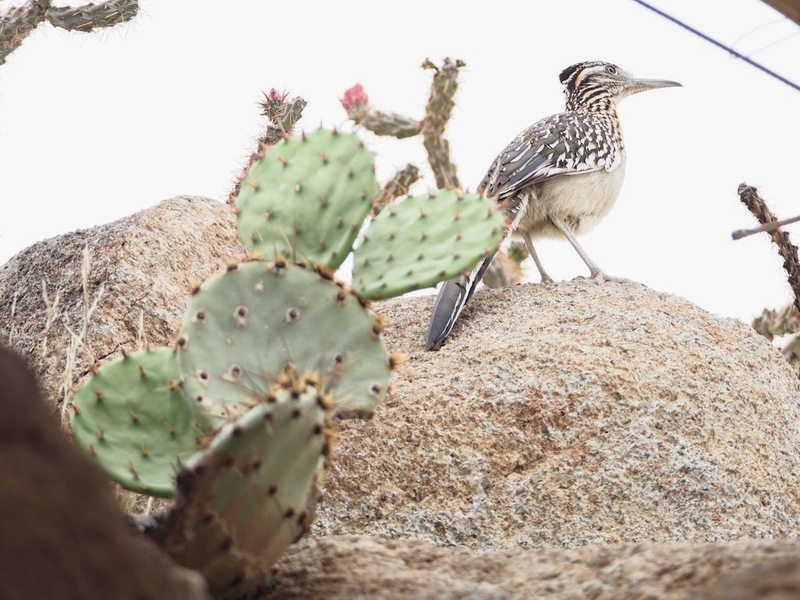 I love the roadrunner -- I hope someday he'll find his soul mate. What a great spot. I can see why you and Len would be in bird heaven!